If you’re checking out the screen attached to your steering wheel while driving, you’re breaking the law. 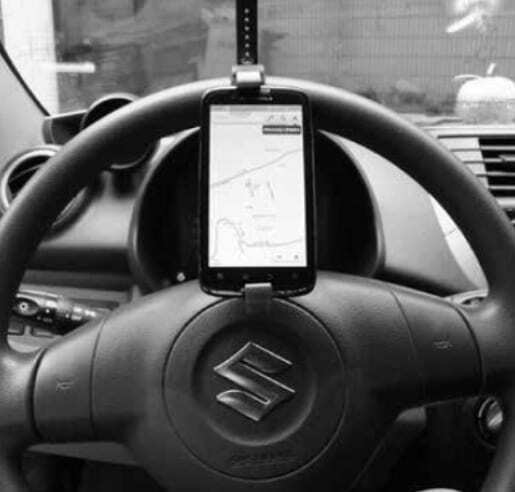 Those popular plastic holders that hold a smartphone to the steering wheel to facilitate chatting and texting while driving are totally illegal, police have warned. The accessory is said to distract drivers, and using one is punishable by a fine of THB400 – THB1,000, according to Deputy Metropolitan Police Chief Maj. Gen, Adul Narongsak. The law only allows drivers to use a handsfree phone for talking only, their hands must not touch or hold the phone.